I’ve been getting the Mickey Monthly subscription box for about six months now, and it’s time to take a look at my latest box. They provide a box of Disney goodies every month directly from the theme parks. Since I have a combination box of snacks and souvenirs, every box contains a snack item. 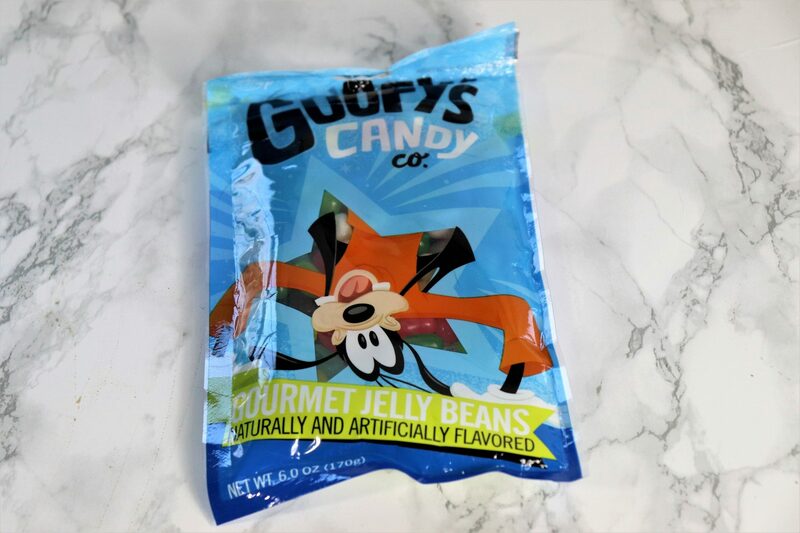 This time around it was a bag of candy from Goofy’s Candy Co. – jelly beans! Jason will probably end up getting these as he’s a big fan of fruit candy and I’m more into chocolate. These bags of candy are usually around $5.95. There was only one other item in this box, I suppose because it was a “bigger” item. 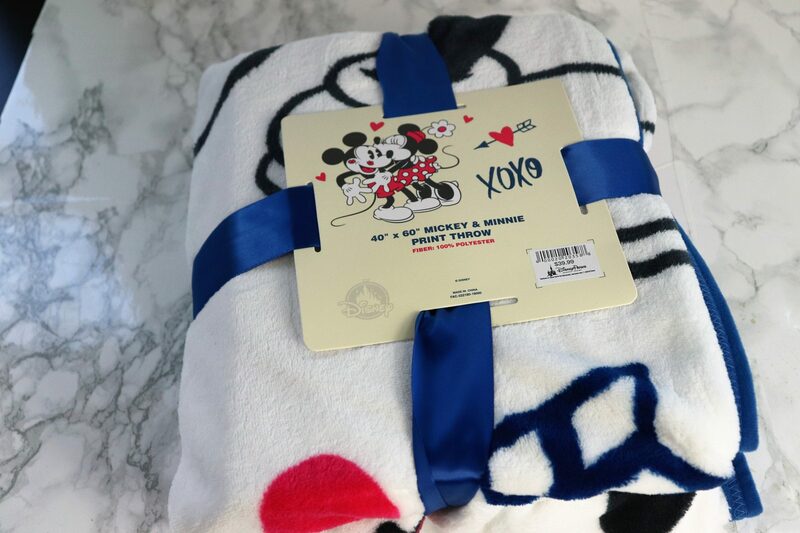 This is a large throw blanket which features Mickey and Minnie (she’s covering him in kisses). The picture is very large across the whole throw. To be totally honest, I was fairly disappointed in this item. As a big item it’s really the only thing in my box. I have a ton of blankets, and I’m not a huge fan of the overt Mickey/Minnie picture (I prefer something a little more subtle or elegant). It retails for $39.99, but throws always seem to be one of those things you can get at Disney for a lot cheaper if you spend X amount of dollars. Quality of Items – I thought the quality of the items in this box were just okay. 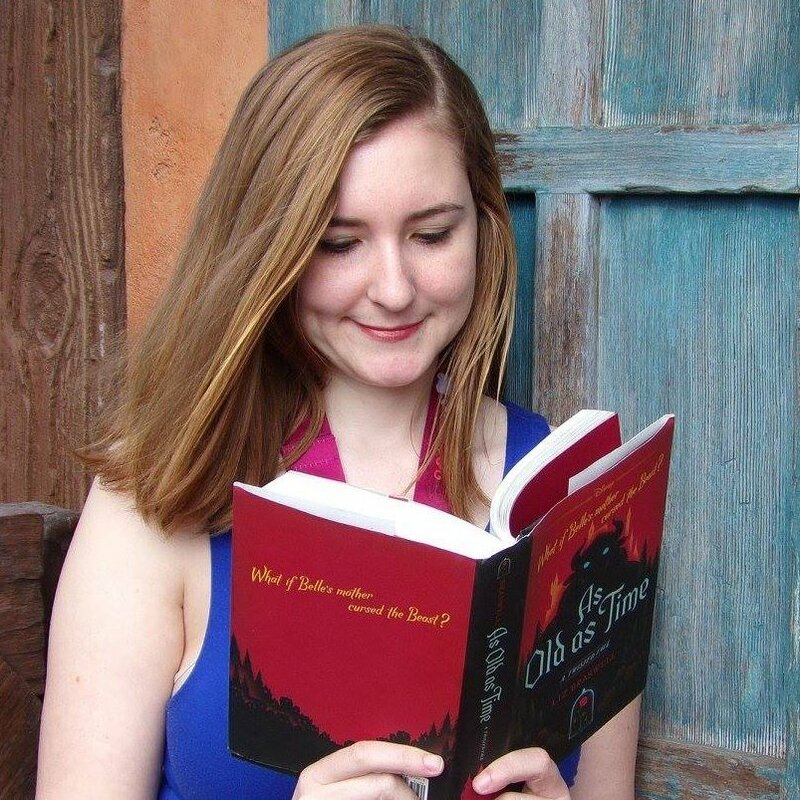 Throws seem to be something that are all over the place at Disney, and for me it doesn’t have that unique feel to it. The jelly beans also aren’t as nice of a food item as I’ve received in past boxes. Cake pops and chocolate covered rice krispies are more unique items that feel more nostalgically Disney. Previous boxes have been better, so this may have been just a dud. Value – In terms of value this is on par, being worth about $44.94. That being said, in my personal opinion I just don’t think a fleece blanket is worth $40 even if that is what Disney charges. I would hope to see Mickey Monthly making smart choices about what their customers would actually like and not spend too much on items that aren’t necessarily equal to their value. However, this is my opinion and there may be some who love it. Overall I did decide to cancel my subscription to Mickey Monthly. This was kind of a dud, and while spending $50 a month it’s hard to convince myself to keep going. There are also other great Disney subscription box companies out there which I would really like to try, so I may be looking into something different! 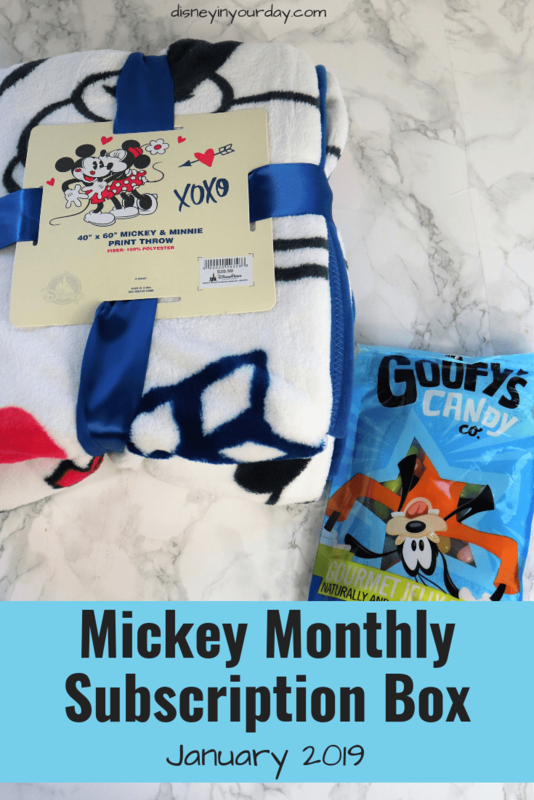 What do you think of my January Mickey Monthly box?